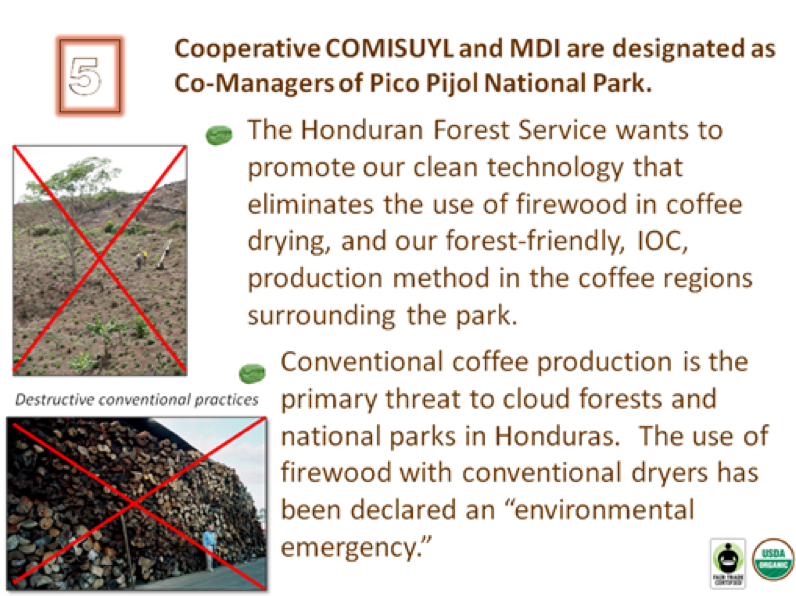 Throughout Central America, the equivalent to 6,500 hectares of forest is consumed each year to supply the firewood for drying the coffee harvest. 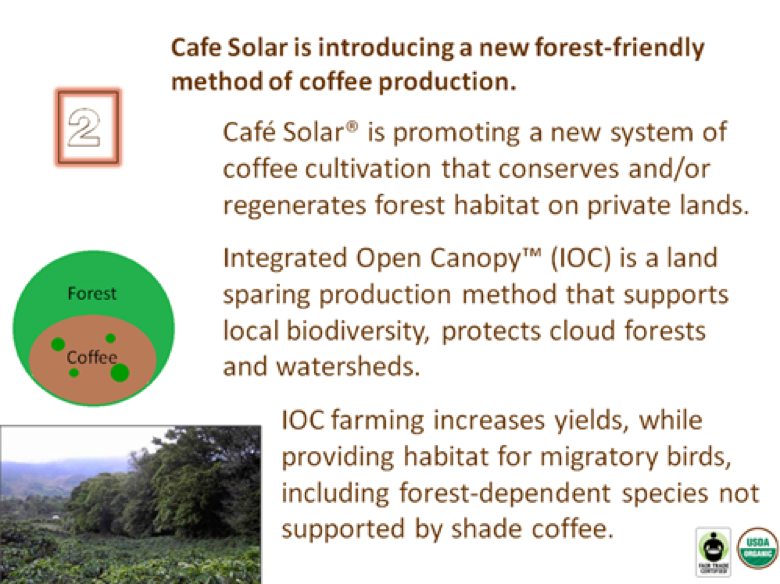 As the global demand for coffee increases, forests are cleared for coffee plantations, contributing significantly to deforestation, biodiversity loss and climate change. 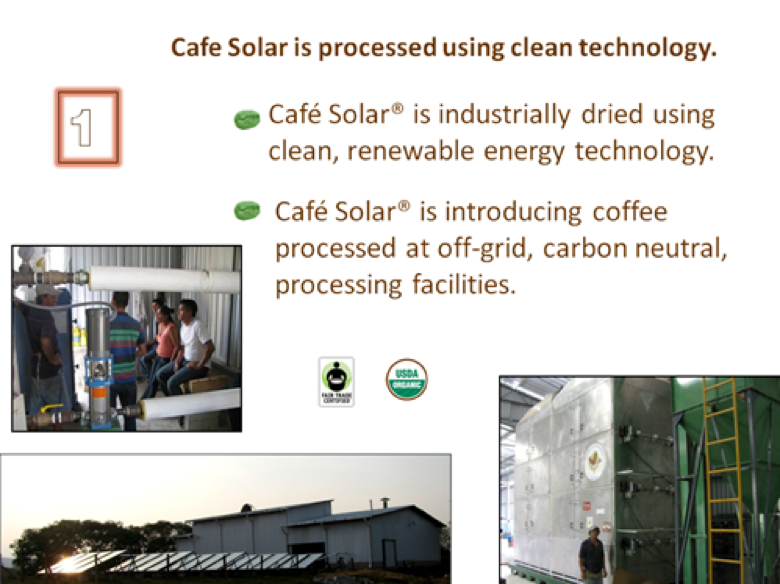 Café Solar® is processed using renewable energy. 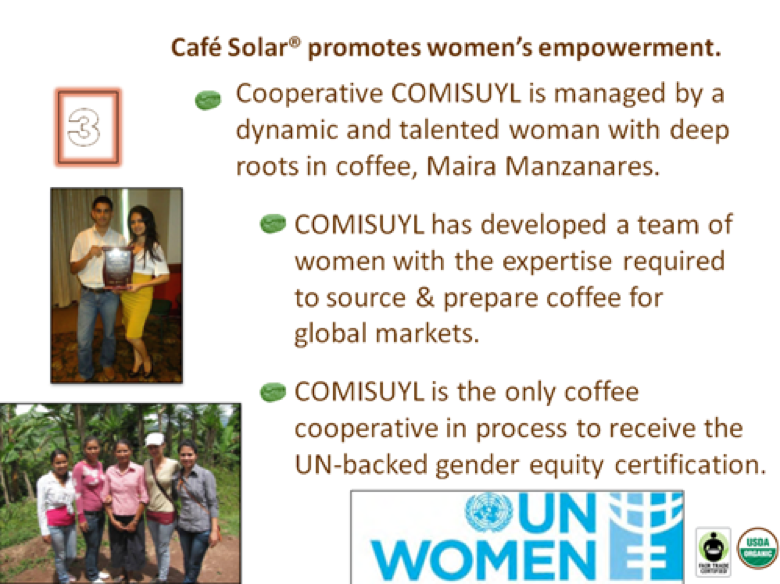 Your purchase supports the introduction of solar/biofuel processing and forest-friendly coffee plantations in harmony with tropical forests and the four national parks within the Yoro Biological Corridor, in Yoro, Honduras. 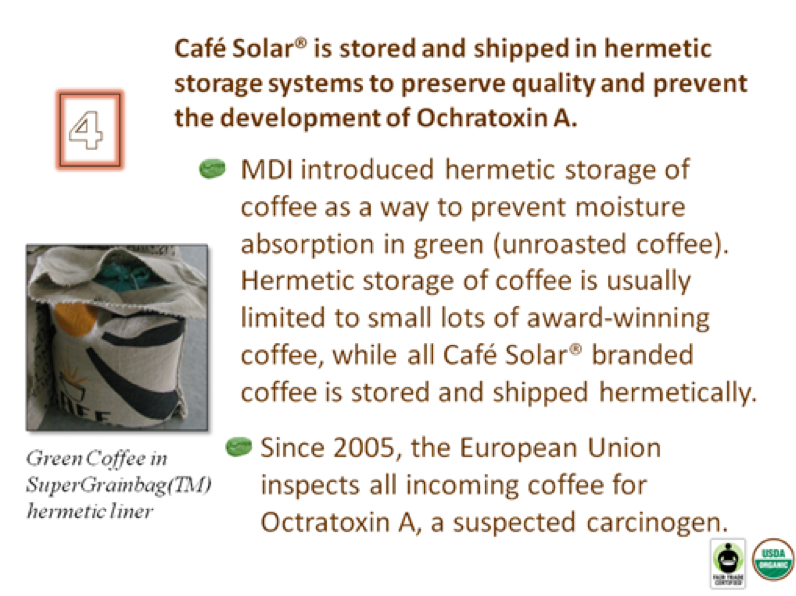 Café Solar® is hermetically protected from our mill to Red Barn Coffee Roasters, our artisan roaster, to preserve quality and aid in the prevention of mold and its ochratoxin. 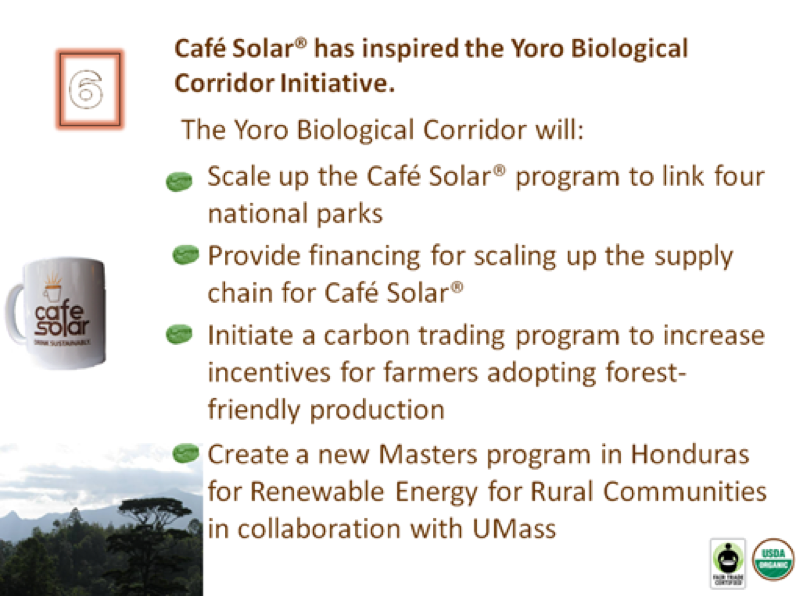 Choosing Fair Trade Certified™ and Organic Café Solar®directly supports a better life for farming families through fair prices, direct trade, and community development within the Yoro Biological Corridor. Ready To Make A Global Difference?